One of the saddest things in the world is the inconsistency that can be observed when most families get home from church. During one hour of worship once a week, everything is just as it should be. The family is together, smiling, and honoring God. However, this changes as soon as they get home. Life, you might say, gets back to “normal”. God expects more of Christian families. 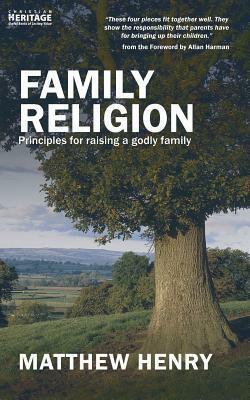 God offers more to Christian families. The book consists of three sermons and one treatise by the Rev. Matthew Henry (1662-1714) and I am convinced that this compilation can change your family’s daily dynamics for the better. How does that sound to you? Could your home use a little more church in it? If so, contact me and I will mail you a free copy of this book. Don’t worry – There are no strings attached to this offer. I am not trying to get your family to visit our church. I just want to get your church more into your family.